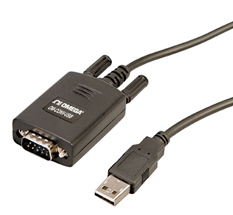 The OM-CONV-USB USB to serial I/O converter provides a single USB to RS-232 serial port providing USB connectivity to non-USB compliant devices. Simply install the included software and connect the converter to your USB port. The device is immediately recognized by the system. At that point, simply connect the converter to your serial device such as a modem, scale, serial printer, or other instrument. Now your non-USB peripherals can have the same connection simplicity and ease of use as USB devices. 참고: Comes with USB drivers on mini-CD and complete operator’s manual.